Go to the dashboard and select Company > Email Templates. 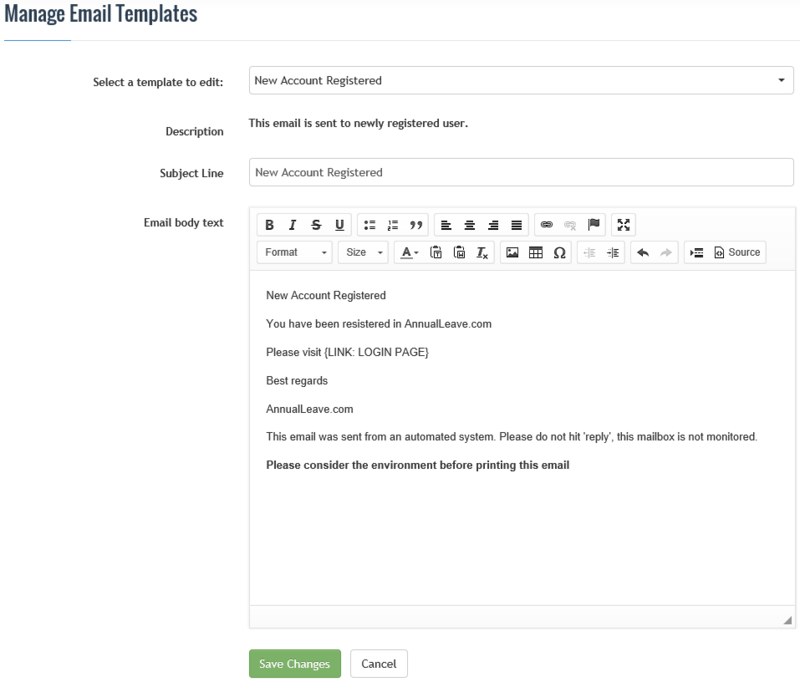 These templates allow the user to set company wide email responses to a variety of scenarios. Select the event scenario that you wish to design an email template for. This is done by selecting an option from the ‘Select a template to edit’ drop down menu. Enter the text you wish to appear on the email. Repeat the process for each email template you wish to use.